Minimum order of 100 gallons required. Upon filling, if tank accepts less than 100 gallons, an additional surcharge of $0.25 per gallon will be applied. Discounts are available on orders in excess of 300 gallons. We proudly service all of the following communities: Barrington, Burrillville, Central Falls, Cranston, Coventry, Cumberland, East Greenwich, East Providence, Exeter, Foster, Glocester, Johnston, Lincoln, North Kingston, North Providence, North Smithfield, Pawtucket, Providence, Scituate, Smithfield, Warwick, West Greenwich, West Warwick, and Woonsocket. There are no pesky contracts or lock-ins here! At Scituate Oil, we specialize in COD (Collect on Delivery) home heating oil delivery for all of Rhode Island. Each day we set a low daily price per gallon. Simply call and place an order for however many gallons you would like to be delivered when you would like. 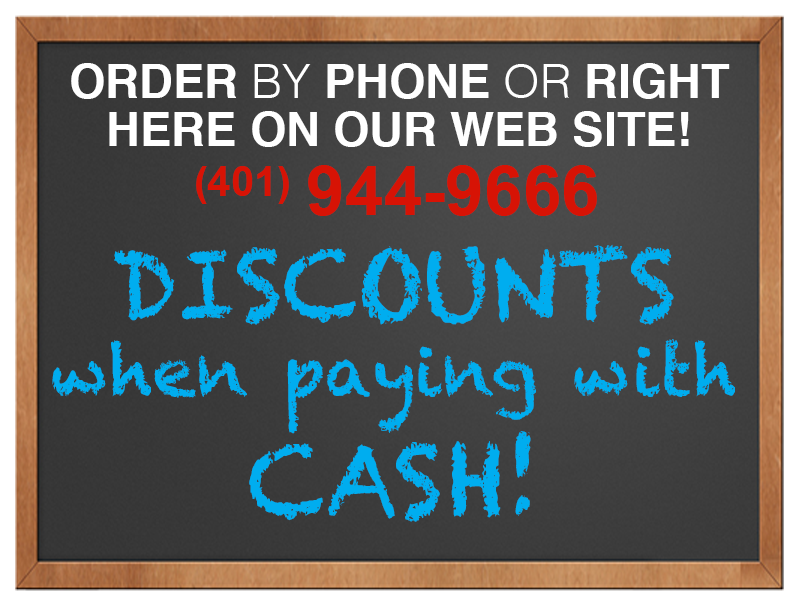 We accept cash, check, and major credit cards. Our friendly team is more than happy to answer any questions you may have when ordering. We are licensed and insured in the state of Rhode Island. Place an Order — we'll call to confirm! Minimum order amount is 100 gallons. Upon filling, if tank accepts than 100 gallons, an additional surcharge of $0.25 per gallon will be applied. NOTE: The price will be adjusted to the cash price ($2.57/gallon) if you intend to pay with cash upon delivery. Delivery orders require a minimum purchase of 100 gallons. Orders 300 gallons and over will receive a 3 cent discount per gallon. It pays to go Scituate! Check this box if you are not sure of the exact gallon amount, and would like us to simply FILL your tank to capacity. We will call you after you select 'Place Order' to arrange payment. Is there a certain time you would like us to call on/or after? What is the best phone number for us to reach you? One moment please. We are processing your order. Please do not close or navigate away from this page until you receive your confirmation number. Your order was successfully placed! One more moment for confirmation. We are hiring Oil Delivery Truck Drivers! Full-time positions! Please click here to apply. We are a Rhode Island Fuel Assistance vendor.